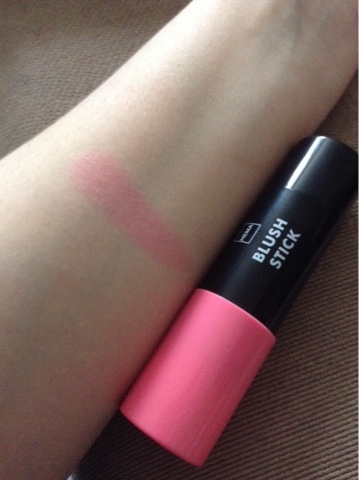 Loubee Lou Blogs: Pretty Pink Blush Stick. When it comes to blushers I tend to go for the ones in powder form as I find that many blush sticks I have tried can be quite oily and tend not to blend well with the rest of my make up (it just sits on my skin which isn't nice). 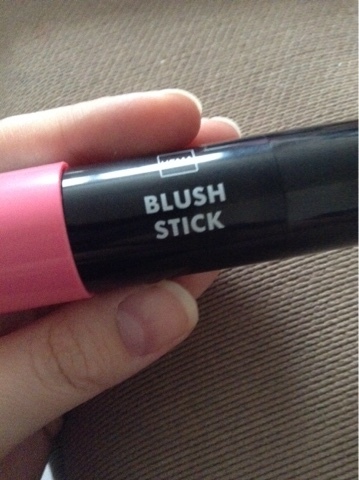 Then a brand called HEMA got in touch and I got sent this really pretty pink blush stick. Now I didn't know HEMA. Never heard of it, never seen it which is a terrible shame because I've been missing out. When I checked out the website I found a huge array of stuff. Make up, stationery, home and kitchen bits, food and so much more! There are so many products on their site that I am gonna enjoy browsing through. The brand focuses on providing quality products with a very reasonable price tag. 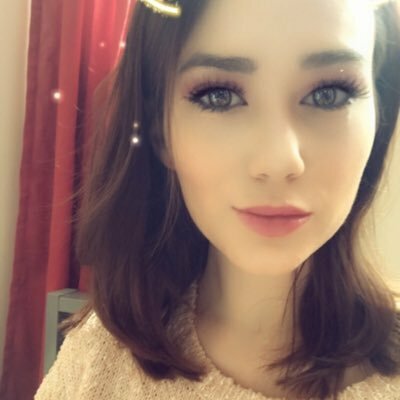 I have been wearing the blush stick every single day and it has become part of my make up routine. It is such a beautiful colour and blends seamlessly into the skin giving you a nice rosy glow that lasts all day. I was dubious at first because as I said I don't use creams often but I have been converted. I wouldn't be without it. As for the colour, it has that kind of doll like pinkness which I adore but as it blends so well, it looks natural and just makes you look healthier. It is one of the softest blushes I have used (and that's from both powder and creams) and I love wearing it. Another great thing is that there is no oiliness! It isn't greasy and although it is creamy it isn't once it is blended. It leaves my skin feeling soft and smooth. Biggest selling point perhaps is how convenient it is. You can apply it on the go using the stick or your finger tips and blend it straight in. The creamy texture means it rolls on smoothly without clumping or sticking to skin. I use the real techniques buffing brush to blend mine just because I use that brush all the time. They have several different colours to match every skin tone (from a peachy blush shade to a deep berry shade) and the price? £6! Wonderful if you ask me. The brand is expanding rapidly and they currently have 5 stores in the UK (if you want to see if there's a store near you, click here). Alternatively you can shop online and get free delivery on orders over £20!